and I hope you will indulge me just one more time. gave to me for St. Valentine's Day! Dawn, Marina - and a lovely hand-made one from Pat B.! Can you see it in the middle? It's a denim "jeans" pocket full of hearts. 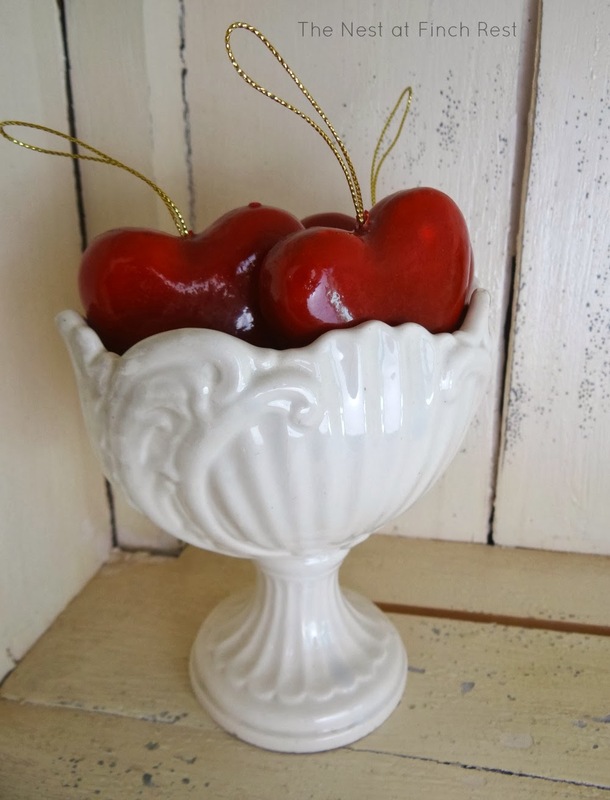 some lovely red and pink vintage rose tea ware! I hope you know my ♥ is in the right place. Hope you all really had a wonderful St. Valentine's Day! I enjoyed ALL the beautiful roses and valentine things. It is sad we really only bring them out for one or two days a year. Thank you for visiting my blog too. Personally, I think Valentine's is a monthlong celebration, not just a day! What beautiful roses your sweetheart gave you! Hi Michele! 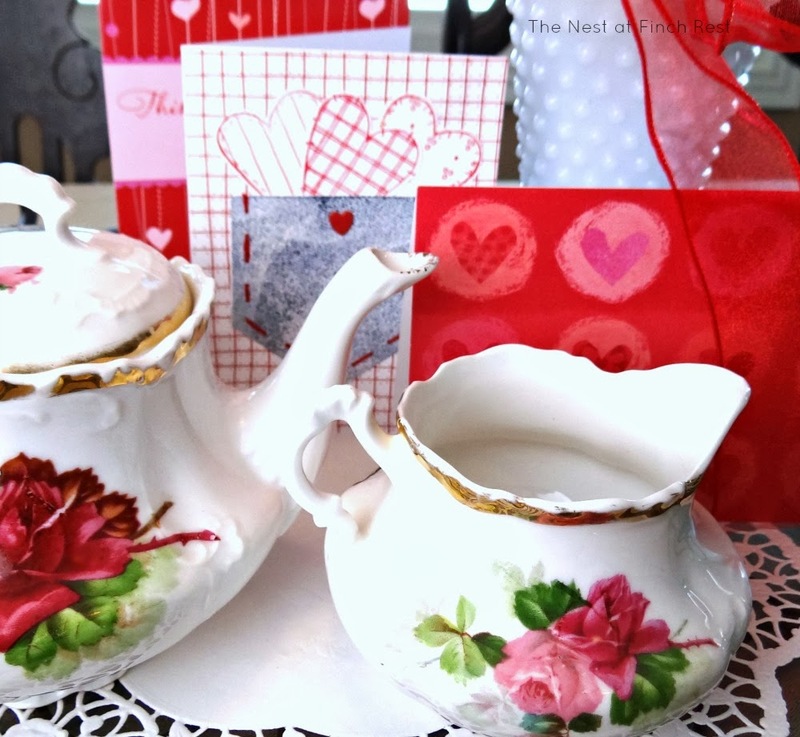 Oh, what a beautiful Valentine vignette with all of your pretties! The roses are so pretty and love the cards. Handmade ones are so special. Your tea things too. Thanks for popping in to see me. 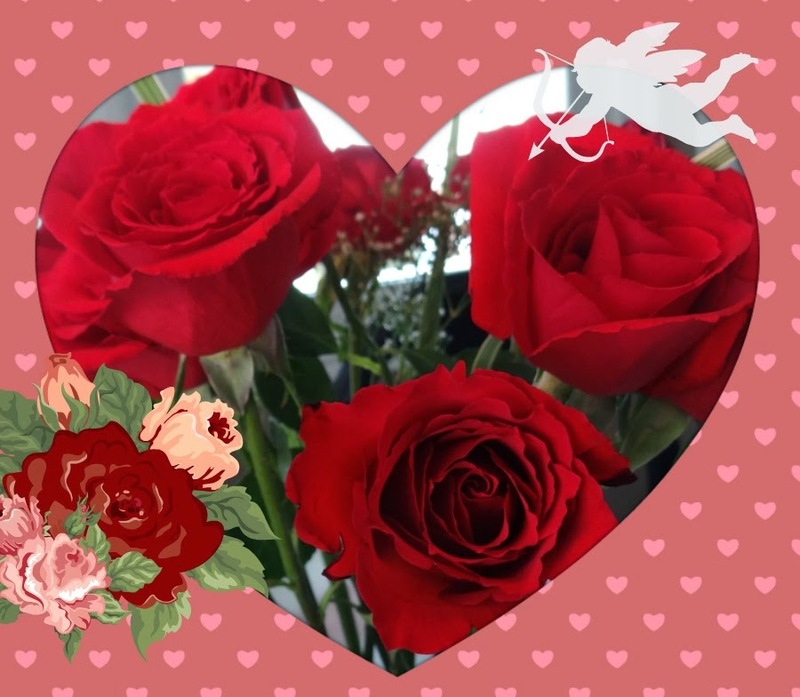 Beautiful roses and cards, Michele! I adore your teapot and creamer! I have those same little red hanging hearts. Thank you for joining me for tea and enjoy the rest of your week. Lovse Roses and yours are just beautiful, Michele. 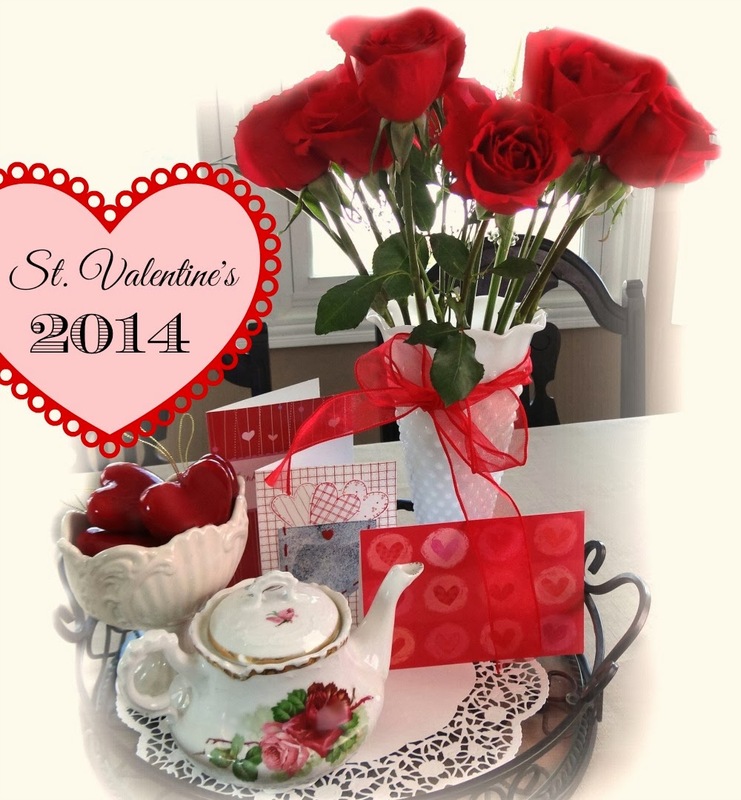 The tea set is a perfect complement to the roses...off to see that ring again! Michele your roses are gorgeous! Love that sweet little pocket card. You have a heart as big as your many lovelies! Thanks for sharing with SYC. Your roses are gorgeous. Love the tea set too. Have a great start to the new week. Your roses are beautiful, Michele! 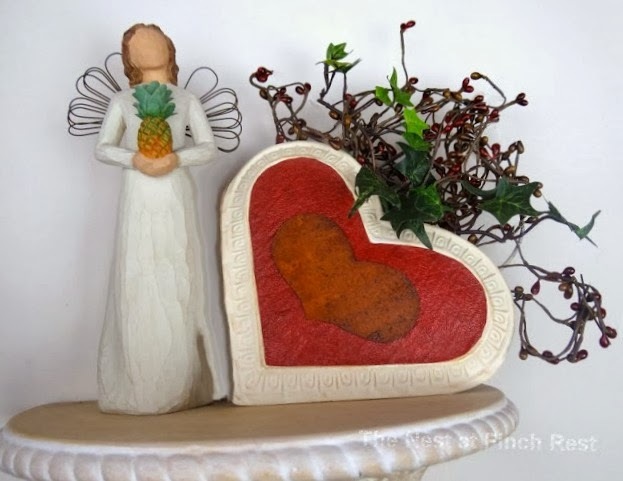 A post full of Valentine love! Gorgeous roses. How sweet to share them with us. You hang with some sweet ladies! The roses and rose china are beautiful together. We are still enjoying ours too. I think we got some good ones this year! Such a special time you are having with your daughter. So sweet!